Real men do their business in the front and their partying in the back. All the greatest people of the last century know this, so it's about time you get on board. With this wig, you really don't even have to wait for your hair to grow out. The wind blasts through your jet black hair. As it whips your long bearded hair about you get chills down your spine. This life is not for everybody. Life on the road, just you and your bike. It's 130 miles still to Tucson, to your favorite watering hole. Rumor has it the roadhouse has the best new band west of the Mississippi. It's good to be alive. Are you the type of guy who just hops on his motorcycle and starts looking for trouble on the open highway? If you're looking at getting some fake sideburns, then probably not, but we know how awesome it is to at least feel like a tough guy for a day and growing out real mutton chops takes time. That's why these fake ones are sweet. Just slap them on the side of your face and you become an instant tough guy. If you're a biker boy, you have to be tough from head to toe, and that includes your wallet! 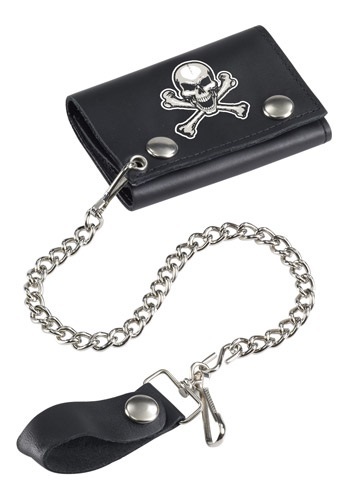 Now you can stash your cash in this cool Biker Wallet w/ Chain. This wallet will look great with you leather jacket and Harley! So, you're a tough guy, huh? That probably means that you wear black, more black and then some more black. 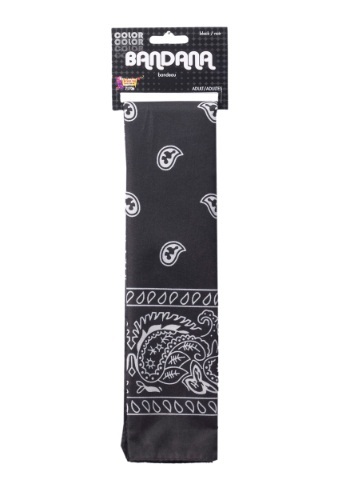 Bikers, cowboys and even pirates choose this black bandana when they really want to look like the baddest of the bad or the coolest of the cool. He can be the toughest of the tough guys in this Boys Mini Biker Costume! He can wear the shirt, vest, bandana & mustache/goatee with his own jeans; add boots and aviator sunglasses for a menacing look. This costume simply oozes attitude! Looking to change your image to being a bit less clean cut? Growing out a beard is one option, but who has that kind of time? 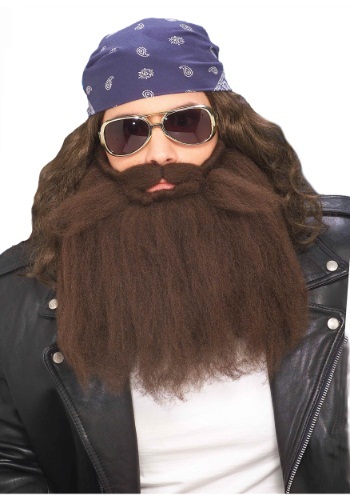 Instead slip on this brown beard and mustache accessory and you'll have an instant tough guy appearance. But don't hold us responsible if after wearing this nice beard you get a sudden urge to join a biker gang, get tattoos and wear lots of leather. If you're planning on hitting the road there's just one look you need to remember: all black. Black on black is a sure way to fit in out on the highway, especially if you've got a mean motorbike. You might still have to earn the respect of your fellow riders, but with a look like this the rest of the gang should be, well, we'll say pushovers. With this costume you'll be the toughest girl in the gang! Are you a road warrior? Were you born to be wild? Do you need tattoos on your skin like your lungs need air? Do you wish this criteria applied to you? If you answered yes to any of these questions then you need a Grey Biker Beard and Mustache Set. It will be a few years before he's old enough to go to his first rally or biker bar, but he can get the look right now with this Infant Biker Baby T-Shirt Costume. The printed image on front and back looks just like a weathered denim vest with patches, studs & zippers. If he's born to ride, initiate him early! If you like gently caressing the Hemi V8 engine that you had installed into your pickup truck and sipping on some ice cold beer, all while listening to some Southern classic rock tunes, you probably already have a mullet and a handlebar mustache. If not, then we've come to help. 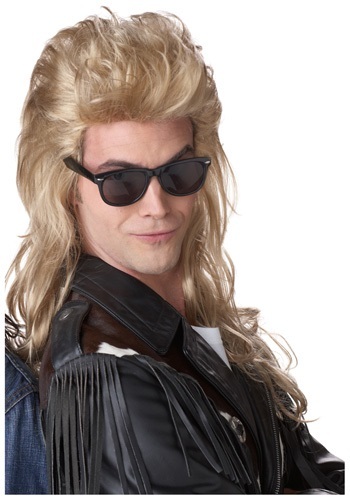 This wig and mustache combo will have you set up with the hair needed to do your business up front with the party in the back, which coincidentally is exactly how your truck works. You were born to be wild hot stuff! Embrace your wild side in a pair of Opaque Tattoo Print Pantyhose! They are the most affordable way to simulate a leg full of tats! 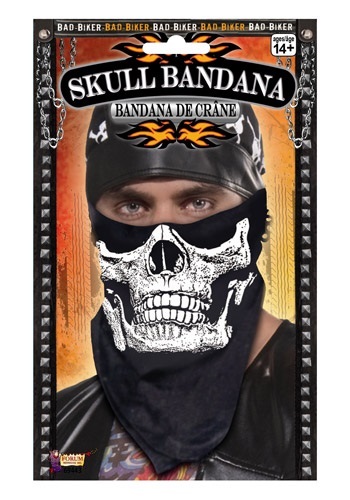 Increase your street cred exponentially when you wear this Skull Face Biker Bandana to the next bike rally. The printed skull design will give you a super-tough look that's sure to intimidate! If he dreams of riding a Harley someday, he'll love this Toddler Mini Biker Costume! He can wear the shirt, vest, bandana & mustache/goatee with his own jeans; add boots and aviator sunglasses for a menacing tough-guy look. He'll be ready to ride! So your toddler wants to join a biker gang but you're not ready to let him get inked yet? Rather that point out how lame that makes you, we'd like to suggest this Toddler Tattooed Costume T-Shirt as a compromise. Now it will just look like his arms are covered in tattoos, without harming a single speck of his skin. But seriously, he can have the Harley he's been asking for right? 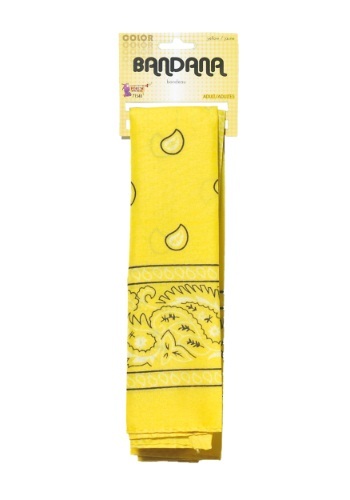 Yellow bandanas. They might even be a better invention than sliced bread! Does sliced bread make you look like a cowboy? Does sliced bread fit on your head? Does sliced bread keep long hair out of your eyes? Maybe. We've never tried it since we have access to these bandanas.